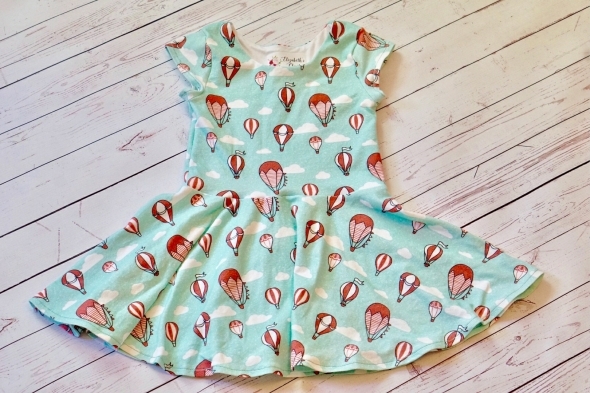 Find the Hot Air Balloon dress here and my fabric on Spoonflower here. 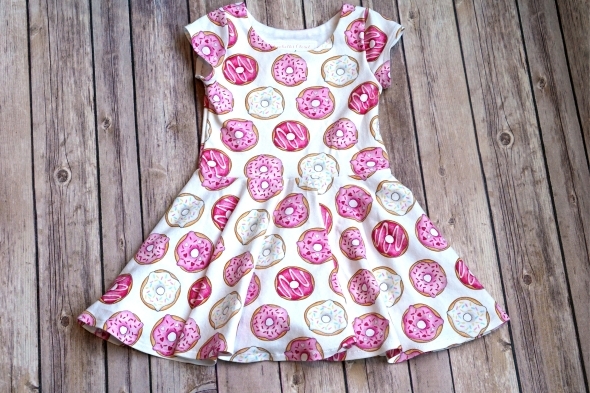 This cute pink donuts dress can be purchased from Elizabeth's Closet here and you can find the fabric on Spoonflower here. 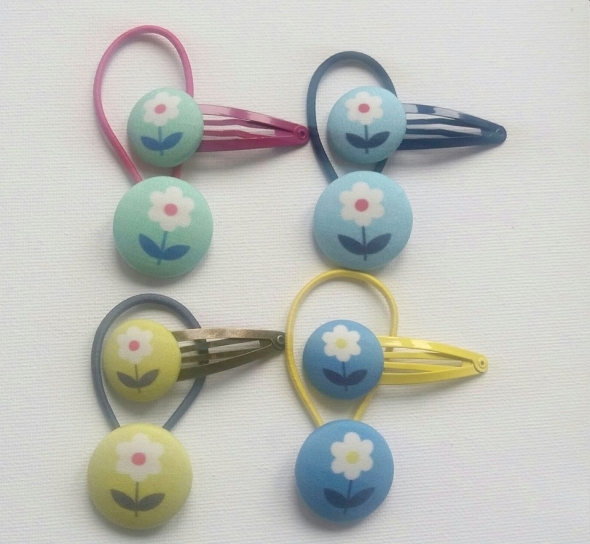 I am open to requests from customers and am happy to adapt my designs to suit the projects people would like to make with them. 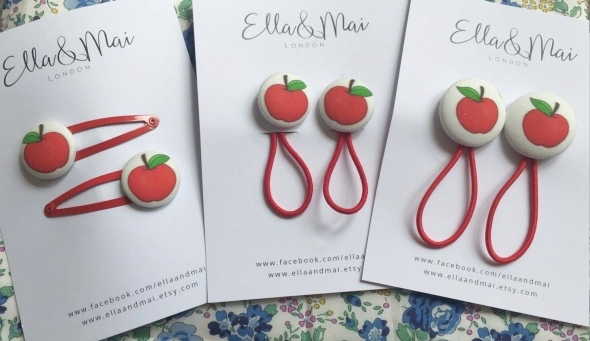 This is exactly what I did for Talita of Ella & Mai, who makes and sells cute hair accessories. I adjusted the scale of my rockets design so that she could make hair clips and bobbles - and she was kind enough to send me some too! I also made a dress with my fabric! 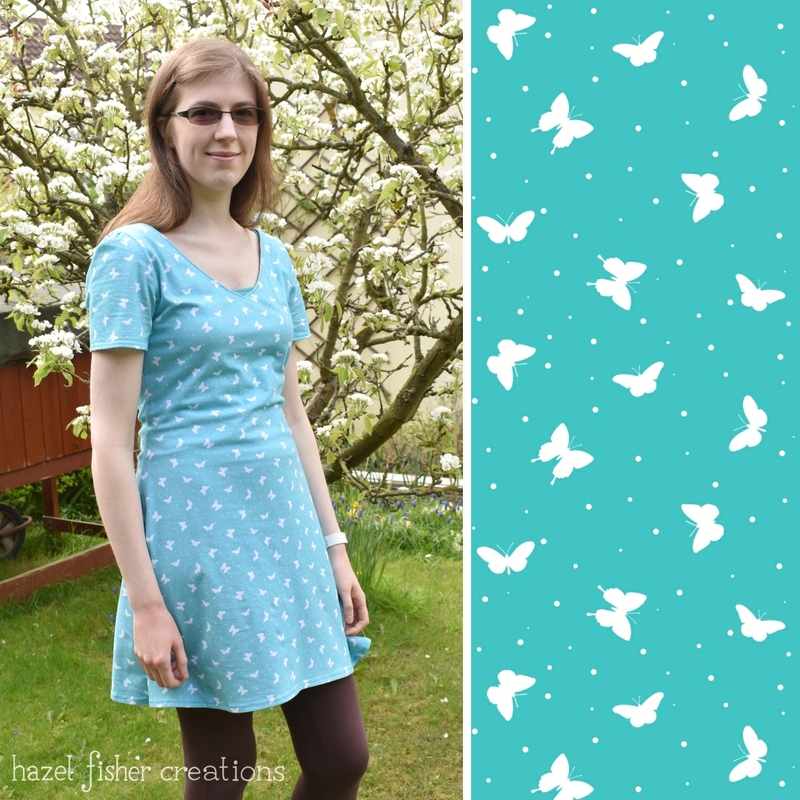 I used this blue and white butterfly design printed on Spoonflower's Cotton Spandex Jersey. It's the second time I have used this dress pattern (I blogged about the first dress here). This time I made the dress a little longer and adjusted the sleeves shape, making them longer too. I'm still learning how to improve the fit in my dressmaking - it looks ok in this photo but is a little big across the top/ shoulders (depending on how I stand!). I found the jersey was really nice to work with - it has stretch so is comfortable to wear but isn't too stretchy to sew with. 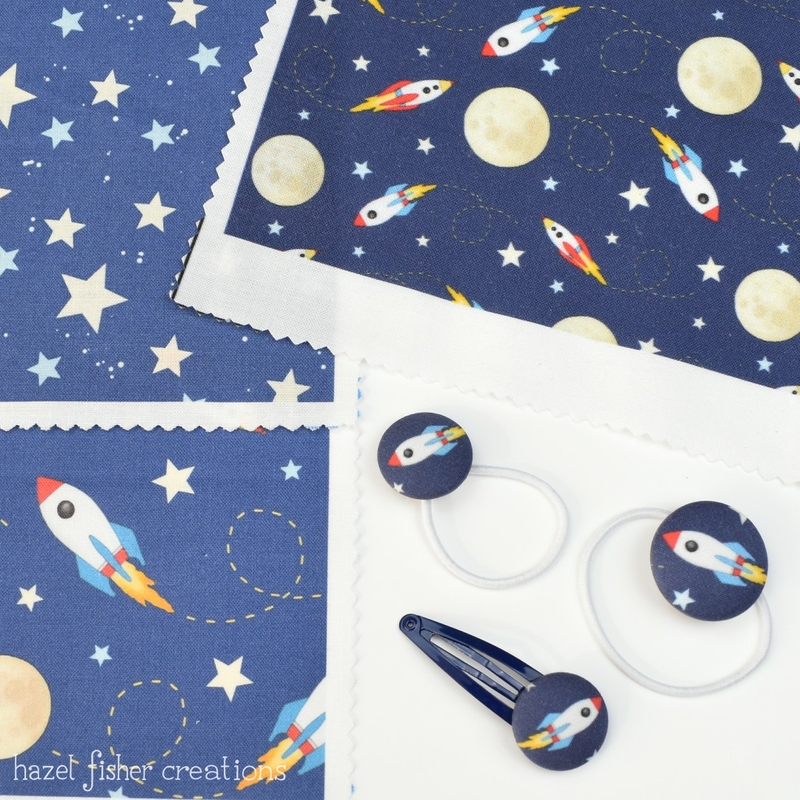 If you have made something with my fabric designs I would love to hear from you! You can tag me @hazelfishercreations on Instagram, or use #hazelfishercreations when you share your photos.